Business Secretary Sajid Javid appears to have further backtracked on initial claims that the government had ruled out nationalising any part of Tata Steel’s UK operation, now saying that they are prepared to take on a 25% of the business. Sajid Javid has spent time rowing back from criticism thrown at him based in an initial perceived lack of sufficient action in response to the Tata steel crisis. Last week, he revealed that the government was prepared to ‘co-invest on commercial terms’ with a potential buyer of Tata’s flagship plant in Port Talbot, South Wales, where some 4,400 jobs are at risk. Now, following a meeting between with the chairman of Tata Global Cyrus Mistry in Mumbai, Javid has set out more concrete terms of this co-investment. The support package that the government will be offering will be “worth hundreds of millions of pounds” and is expected to include a variety of options, from debt financing to straightforward commercial investment in return for a minority stake in the business. “This government is committed to supporting the steel industry to secure a long-term viable future and we are working closely with Tata Steel UK on its process to find a credible buyer” Javid said. “The detail of our commercial funding offer is clear evidence of the extent of that commitment. The Prime Minister’s spokeswoman spoke about the deal, saying: “we would work alongside a potential buyer to make sure that the government is doing what it could to support a viable sale. The final point on avoiding control of the company as followed by an explanation that such an investment would not, at least in the government’s eyes, be considered ‘part-nationalisation’. Nationalisation, she maintained, is still not seen as the right answer. Tata Steel has been trying to close down their UK operations ever since they announced that they were running at a loss of £1 million per day. They have been being pressed to try and find a responsible buyer in order to protect the British steel industry and the thousands of jobs sustained by it. So far, part of their portfolio has been sold off, with a major steel plant in Scunthorpe being sold to investors Greybull Capital. Greybull paid a nominal fee for the site and is set to invest £400 million into it, under the resurrected brand name British Steel. In order to keep the Scunthorpe site running, workers were forced to accept a 3% pay cut as well as a reduction in pension contributions, though this was given the OK by union leaders and officials who considered the changes as a whole as an important move toward “securing a sustainable future” for the plant and the industry more generally. Finding a buyer for the Port Talbot plant is the next great hurdle in this race and the option of 25% government funding for it does look like something that will sweeten the deal. The move is, quite unsurprisingly, being supported by the steel industry. 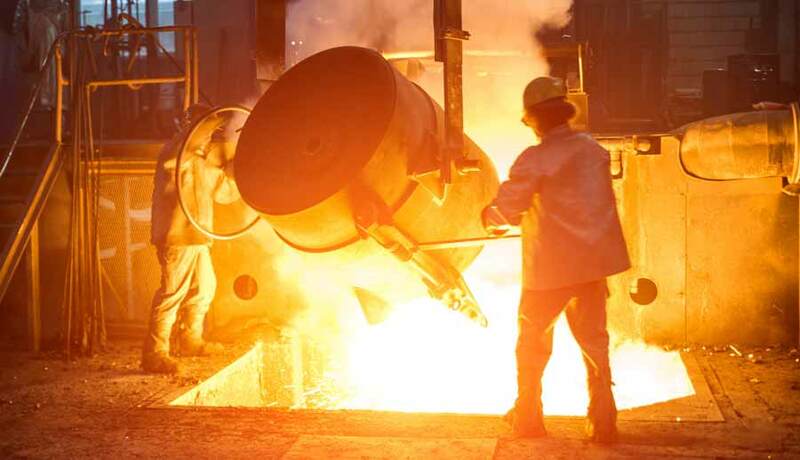 The lack of trade barriers and tariffs imposed on steel imported to the EU from countries like China has been pointed at as largely responsible for the collapse of the domestic steel industry. However, it is far from the only factor. Sanjeev Gupta, head of Liberty House and high on the shortlist of potential buyers for Port Talbot, spoke of the need for energy relief from the government if he is to take on the plant. Relief from energy costs would be far more beneficial and productive for the British steel industry than trade barriers would, he argues. After initial reports suggested signs of commitment from Gupta, he has been clear since that while he does feel “passionately” about the project, he is by no means guaranteed to go ahead with the purchase. Other potential buyers for Port Talbot include Scott Wilkie who currently manages the plant and is attempting a buyout that would require rather significant government backing. Wilkie’s plan would involve maintaining much of the current functionality of the plant, while if Gupta buys it he intends to convert existing blast furnaces into electric arc furnace that will work with domestically sourced scrap metal in a process which he sees as both more viable generally, and something that would further promote domestic industry and production given the lack of reliance on raw materials sourced from overseas.